Texas Holdem has become one of the most popular casino games in the world and Casino Party Experts can bring the excitement and live tournament action to your next casino party. Do you want everyone to feel what it’s like to play at the World Series of Poker? Then count on us to provide a unique playing experience for all your guests. 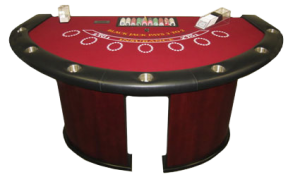 Our highly experienced and professional team will provide expert guidance through every phase of the process making sure your casino parties are run smoothly from start to finish. 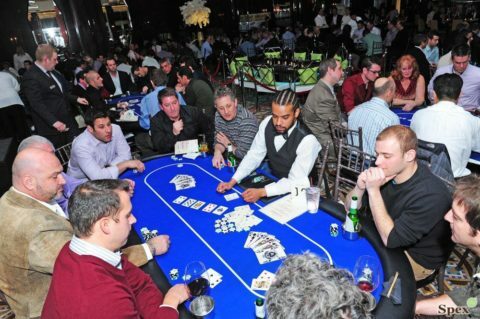 Casino Party Experts has a full-service poker tournament division providing everything you need to run a professional poker casino tournament. Our casino tournaments directors can structure all casino parties using professional casino tournament rules with antes, blinds, and timed rounds. Ask about our Casino Tournament Management Software which can be customized according to your specifications, and projected on a large screen for everyone in the room to see. This allows your guests to monitor their stats and other players with tournament progression on a Big Screen. Do you really want to add some excitement to your event? Turbo Holdem Tournaments are the way the majority of casual Holdem players like to play. Within ANY “Casino Party,” we can do several of these “Turbo Tournaments”. The way we do them it is basically a “Sit and Go” Tournament with 9 players per table. Each player receives a predetermined amount of game chips. We draw for the Button and start dealing the Turbo Tournament. The Blinds will go up every 5 minutes and we’ll produce a winner within approximately 45 minutes. We suggest prizes should be awarded to the top two players. For added excitement, the top one or two players from each Turbo Tournament can play each other all the way to a Final Table. This is a great way to achieve the tournament aspect for a lot of guests. And they absolutely love it! Please let us know if you would like to host a Turbo Tournament at your next event and your guests will have a blast with all of the energy and excitement this experience will create. All casino tournament packages are priced for a four-hour party. If you would like a longer casino party, that is also available for an additional fee. Our dealers will show up 30 minutes prior to the casino party start time. When your guests arrive, the tables are completely set up and ready for the tournament to begin. The dealing portion of the casino night party will last 4 hours. The blinds will be adjusted during the party to ensure the poker tournament does not last for days. The tournament can be either elimination or you can “buy back in”, whichever style you decide will work best for your event. We will speak to you about the specifics of running the casino tournament once the party is booked and a Tournament Manager has been assigned to your event. They’ll help you plan your event from start to finish. 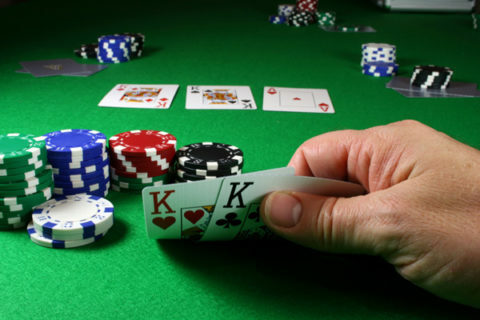 There are actually two types of casino tournament formats that can be played. They are elimination and non-elimination casino tournaments. In the elimination format, players compete against each other at each table, with the player (or in some cases top two or three players) that has the most money advancing. The other table players are eliminated from the competition (hence the name “elimination format”). In a non-elimination tournament, players compete against all the other casino tournament players with the goal of trying to win the most money after several rounds. In this format, none of the players are eliminated. Of the two formats, the elimination tournaments are the most popular.